A 6-year-old boy has been held hostage for hours after a gunman shot and killed a bus driver and took the child to a bunker in the southeastern town of Midland City, Alabama. The hostage situation has been developing since Tuesday. Authorities communicated with the suspect overnight through a pipe. The captor reportedly told police that he will not hurt the child. Local law enforcement has called in the FBI to assist with the case. The FBI took charge of the case in the early morning. ­The Dale County Sherriff's told the local WBMA-TV that the suspect, identified by a report on DothanEagle.com as 65-year-old Jimmy Lee Dykes, shot the driver after he refused to allow the six-year-old child off of the bus. The driver, whose identity has not been released, later died from the gunshot wounds. Dykes had been arrested in December 2012 in a gun-related incident and charged with menacing. "The Dale County Sheriff's Department has established a command post location at the intersection of 231 North and Private Road 1539 in Dale County, Alabama following a shooting. Multiple agencies are present assisting with the incident. Authorities say a call was received regarding a shooting involving a Dale County School Bus at 3:36 p.m."
"At this time limited details are being released however the Sheriff's Department has confirmed one adult male was shot and the suspect is not in custody. Further details will be released as they become available." 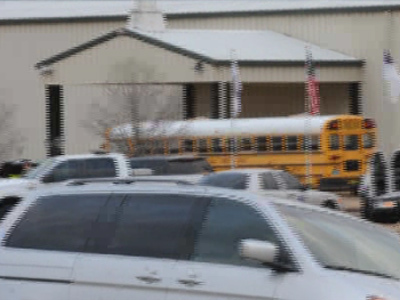 Local school officials have decided to close schools on January 30 in light of the situation.